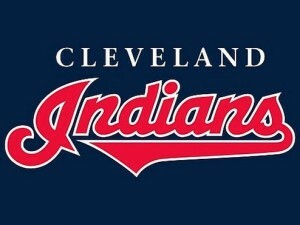 Because that would be the only place where the Cleveland Indians are in 1st place in the AL Central. There are a few things I enjoy getting on my soapbox about. My alma mater, my hometown and my favorite teams are among a few of these things. - Cleveland Indians fans have a lot to smile about this year. competitive balance I see throughout the league on a year-to-year basis. This year is NOT moving us closer to change in the MLB. Currently, four of the six division leaders are “small market” teams, who are finally seeing some return on their minor league investments over the years. Teams like the Baltimore Orioles, Cleveland Indians, Washington Nationals and Cincinnati Reds are all currently in the pole position in their respective divisions. While I appreciate the efforts of my hometown team, the Baltimore Orioles, THIS IS RUINING MY ARGUMENT!!! The MLB needs a structural overhaul, including the institution of a salary cap. The National Football League is a prime example of an organization that has benefitted from a relatively balanced product. While MLB has experienced a few extreme outliers, exemplified by the 1997 & 2003 World Champion Miami Marlins, for the most part, success in baseball is predetermined by your payroll. As the NBA Playoffs reach their finale, and the NFL off-season progresses, MLB will be in the spotlight for the dog days of summer. Let’s hope that our smaller market franchises are able to stay competitive. Or, for my arguments sake, I hope they don’t.